Established in the year 2002, we, %u201CGlobal Polytech%u201D, are engaged in manufacturing and wholesaling a precisely-formulated collection of Construction Chemicals. The range offered by us comprises Light Weight Concrete, Expansion Joint Treatment of any size, Anti-carbonized coatings, Metal Treatment Chemicals, Waterproofing Chemicals. 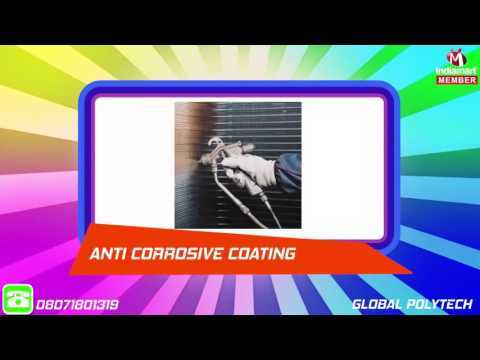 In this range we offer Polymer Membrane Technology, Elastomeric Coating, Clear Water Repellent Coating, Thermal Insulated Water Proof Coating, Polymers For Repair & Rehabilitation, Elastomeric Crack Sealer Compounds, Exterior Painting Products, Texture Coating, Rust Converter, Floor Hardeners, Sealing Slurry, Floor Coatings, Fire Retardant & In Tumescent Paint.